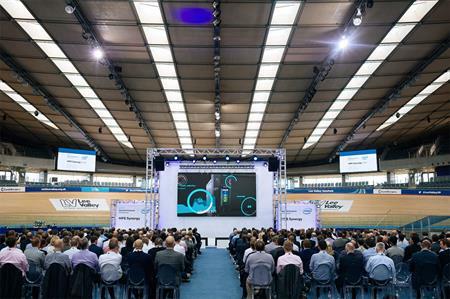 Sledge managed the UK launch of HPE Synergy for Hewlett Packard Enterprise at the end of September at the Lee Valley Velopark in London. The main objective of the event was to create an unmissable launch for the new HPE Synergy to potential B2B pre-sales customers. There were 500 main delegates for the event, including IT directors and senior IT professionals drawn from a cross-section of industry in the UK. The event was staged at the London 2016 Olympic venue, the Lee Valley Velopark, with the presentation, exhibition and evening reception staged in the centre of the track. The venue was chosen as it echoed the core values of the HPE Synergy proposition, which include ‘speed and efficiency’. Guests were given a product presentation by the senior HPE leadership team, followed by customer testimonials on stage. The Team GB Olympic hero Sir Chris Hoy also took to the stage to deliver a key note presentation on performance. After the main presentation guests were invited into the exhibition and reception area. Here they had product demos, could network and enjoy the hospitality. Whilst this was taking place, a local cycle team staged a race on the track which created a unique and entertaining spectacle. According to Sledge CEO, Nic Cooper, The Velopark is not a typical venue, with no rigging points or black-out and a limited set up time. "We played to the strengths of the space by embracing the daylight and vastness of the space. Our creative solution was quick to set up, free-standing and complemented the architecture and design of the building." She added that the client congratulated the team on a ‘truly successful’ event.